This Friday, the Queen of Monsters General is going to ROCK your world when you /join DarkHeart! As General Nevanna's poison spreads up the roots of the World Tree to its heart, time grows short - for Brightoak AND the rest of Lore! This Friday, tackle some of the worst beasts Nevanna's got to throw at you to prevent the rise of the Earth Titan, GAIAZOR! Should this beast FINALLY emerge from his resting place, General Nevanna will have a weapon of MASSIVE destruction at her beck and call. It's up to YOU to prevent that from happening, Hero! After you've finished this weekend's release, quest to unlock pretty wicked Druid-themed gear from the Dark Heart Merge Shop! 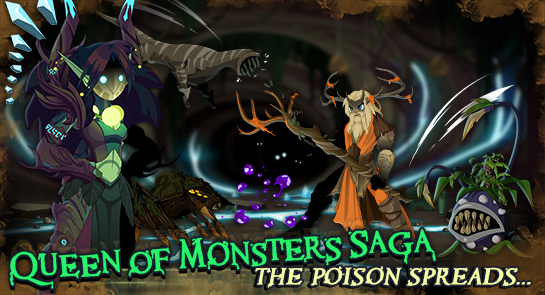 If you haven't begun the Queen of Monsters Saga in Brightoak Grove, now's your chance to get caught up! /Join Brightoak and talk to Ravinos to discover the threat that is attacking the Heart of the Grove... and what you can do to stop it! 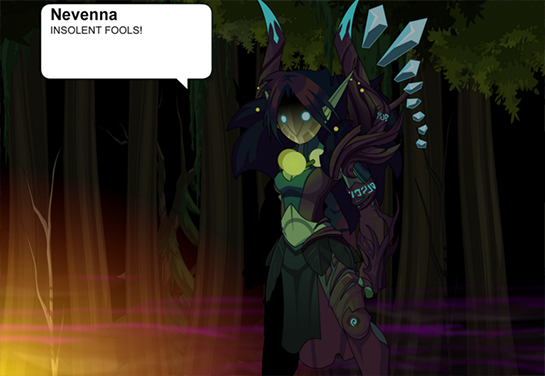 Then head to Rivensylth to discover more about the General attacking the forest! Then battle through Elfhame to see what happens when General Nevanna raises an ancient forest guardian and commands it to attack!